Gay Central Valley: Fireworks Time!!!!! It's almost time for fireworks! Did you know, it is legal to set off fireworks Year Round here in Fresno? In other words, it is almost time to stock up on fireworks! Perfect to celebrate progressive legislation, birthdays, anniversaries, or just-because occasions! And now you can support the Fresno LGBT community and get your fireworks at the same time! From June 29th through July 4th from 2pm to 10pm join GCV at the ONLY Fresno LGBT Fireworks stand! Sign up for a 4 hour shift by going to this FB page and leaving a comment. 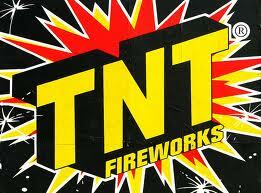 And if you want more information about the Fireworks stand itself, call 559-325-4429 or visit the Facebook event page. Thank you, Fresno LGBT Community, we couldn't do it without you!!! !